AVPN members fund social investment across the continuum of capital, from foundations and family offices who focus more on grant giving to intermediaries, corporations and funders such as impact investors who seek both financial and social returns from their investments. AVPN works with all these investors to ensure their practices maximise their potential impact as well as provide opportunities to find diverse partners and collaborators in the region. In this way, AVPN provides a valuable platform for the social sector to understand the whole spectrum of the Asian social investing landscape. By catalysing the movement from traditional philanthropy to social investing for a more strategic, collaborative and outcome focused approach, AVPN ensures that resources are deployed as effectively as possible to address key social challenges facing Asia today and in the future. AVPN will now develop this platform for collaborating, learning and sharing to further our mission. The AVPN Academy will bring together the workshops, the extensive library of the Knowledge Centre from reports to case studies to webinars, as well as collaborations with members, and new online training modules to fulfil our mission in supporting the development of the social sector in the Asia Pacific region. By bringing our workshops, offerings from our partner networks and an online learning platform under one roof, AVPN will provide the first comprehensive Social Investment training curriculum. The courses will accommodate different levels of social investor engagement, and be accessible for all participants, from inexperienced beginners, through to those looking to move into different forms of social investing to expert practitioners. Like all sectors in the 21st century, the social sector is also experiencing rapid innovation and growth. However, unlike the for-profit sector, there is a lack of available resources to train and coach those practitioners to be adept at knowing and using all the tools at their disposal. 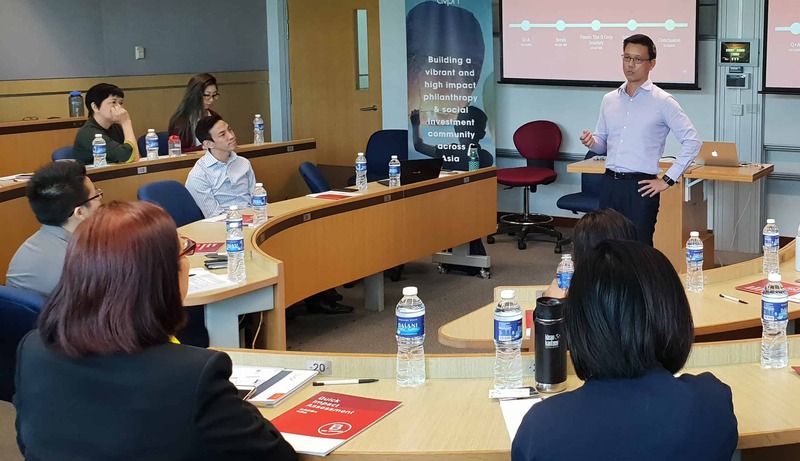 There is currently no training curriculum for philanthropists and social investors developed for Asia and our membership is increasingly asking for more targeted and focused workshops and courses to deepen their knowledge. The AVPN Academy will contribute in a significant way by delivering professional training for practitioners in the sector. One of our primary objectives is to increase the flow of experienced and qualified human capital to the sector as this is currently an impediment to the growth of social sector organisations. The courses will provide the opportunity to train existing professionals as well as new entrants to enable them to work effectively in the sector. The academy fulfils one of the core tenets of the AVPN mission to increase the flow of intellectual capital to the social sector demonstrated by this growing need to share knowledge and learnings both for new entrants as well as existing players in the market. By sharing, we look to shorten the learning curve and inspire organisations in their quests for new societal solutions. 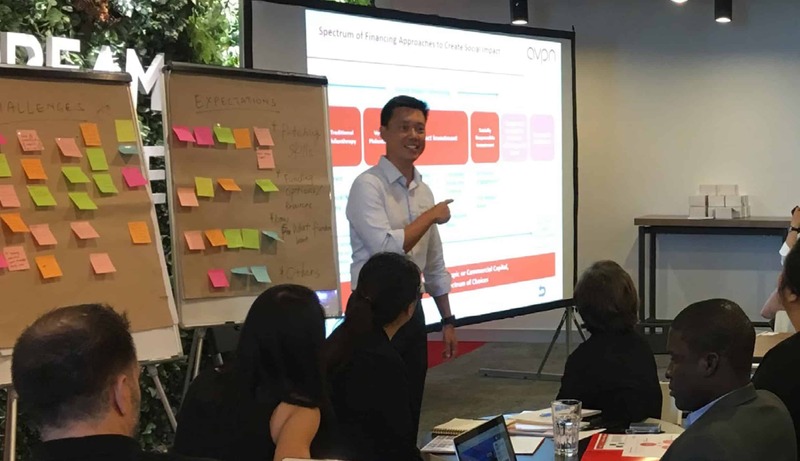 The AVPN Academy provides the first comprehensive Social Investment training curriculum through its tailored workshops and courses covering the full spectrum of social investment in the Asia Pacific region. The AVPN Academy will create workshops and courses around the AVPN Capability Development Model which covers the 5 key areas of social investment in practice: PreEngagement, Capacity Building, Impact Assessment, Portfolio Management, and Multi-sector Collaboration. 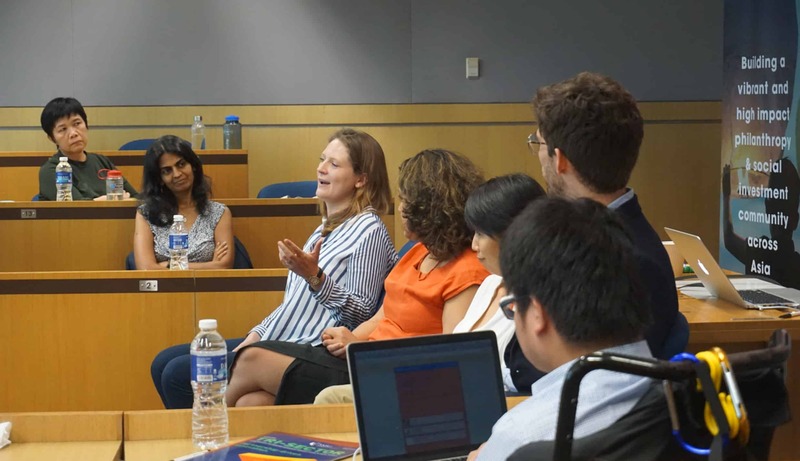 Support foundations to be more effective in grant-making through courses that help develop their investment strategies, select grantees or to get started with impact measurement. The courses will accommodate different levels of engagement and so will support those setting up foundations through to experts and advanced practitioners looking to support investee organisations to scale up or to diversify their sectoral focus. Focus on strengthening the work of incubators and accelerators to best support their vital roles in the pipeline. Building on the research report released in 2016, Effective Social Incubation - First Insights from Asia, the AVPN Academy will provide programmes to support these intermediaries to be more effective at developing social entrepreneurs and enterprises for scale and impact. Support multinational and local corporations to better understand how they can create social impact in the region through workshops ranging from professionalising the CSR function, to designing effective employee engagement programmes to responsible and inclusive business practices and sustainable finance. The courses will include speakers on Shared Value and opportunities to align corporate social impact strategies to the Sustainable Development Goals (SDGs). In this new field, there is enormous interest from organisations who are looking to understand the basics of impact investing, to more experienced practitioners who would like more advanced training on investing and impact measurement. AVPN will be running workshops on impact investment and blended finance with partners in Greater China and rolling them out across the region. There is a growing number of alternative social investment instruments available to support the social sector. These include Social Impact Bonds and Development Impact Bonds which have now had proven success in supporting a number of initiatives. These public-private partnership instruments require experience and expertise to implement and execute. AVPN is working with specialists to provide training in these areas. 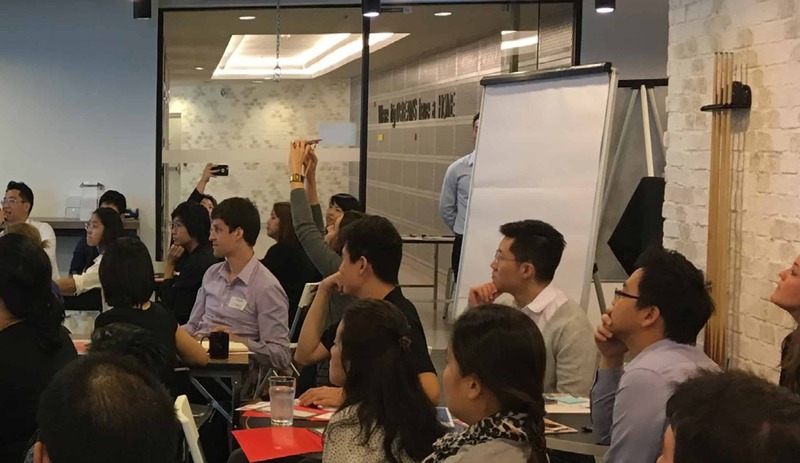 Throughout the year, the AVPN Academy will run a series of workshops and courses for practitioners across different cities throughout Asia, each with the same core content but tailored to be relevant to the region through partnering with members, presenting case studies, or including a Deal Share Live segment, to enhance the learning. AVPN will create online learning modules for our members to enable an efficient distribution of knowledge to our large membership network. This platform will be key to being able to share our best practices and to make a real impact in terms of developing capacity in the ecosystem. The content will be available via our website and mobile devices and created so that anyone with an adequate Internet or data connection can participate. An additional benefit of the online platform is the ability to translate these courses into multi-language capabilities that will best serve our region. We would use the advantage of videos and an online and mobile platform to reach a maximum number of local language users. 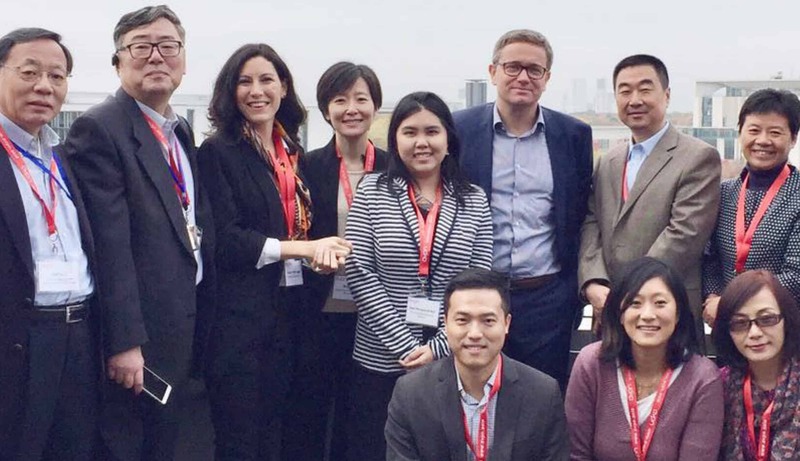 AVPN has already led 2 study tours for Asian philanthropists and social investors to meet with leading foundations and social purpose organisations across Europe. These are popular ways for knowledge sharing and peer learning amongst founders and executives in the social sector. These study tours would then be incorporated into the AVPN Academy. The AVPN Academy will deliver a targeted curriculum of workshops, courses and online modules to support the social sector in Asia. There is a significant need for well-qualified and experienced practitioners who are able to effectively support the organisations in which they work to maximise impact. The academy is a vital mechanism to fill this much-needed space and provide the training to build capacity within the sector. The courses will be designed and delivered by AVPN, either in-house or with support from expert network partners. The development of the online courses will be led by AVPN and supported by both experienced online education development specialists and knowledge experts.